Good estate agents can be difficult to find if you don’t know the qualities to look for. We had a chat to some industry experts and put together 8 qualities your next agent should have. As a house seller or buyer it can be stressful dealing with an agent who’s not a great communicator. The property market is time sensitive, so you need an agent who will let you know quickly where you stand with your current buying or selling situation so you can move on quickly to another property or potential buyer. One of the biggest frustrations for people is a lack of communication from their agent. It’s so important that agents stay in constant contact with their clients and customers as what seems like insignificant information to an agent who’s been in the business for years can be really important to clients who are new to the sales process. A good agent should be proactively calling potential buyers, communicating with existing clients and constantly chasing new leads. The key element of being proactive is keeping the client well informed. If it’s the client that keeps having to call the agent, the client is not getting enough information and the agent needs to be more proactive. Most good agents will tell you to be wary of an agent who talks too much. If you can’t get a word in when communicating with your agent, then you’ve got a problem. As a client, you’re the one who should be doing most of the talking and making sure that your agent understands your special requests and needs. A good agent should be asking all the questions not the other way around. Put simply, if the client gets a good a deal, the agent gets a good deal, which is why it ‘s so important to choose an agent who puts their vendors first. A good agent will always have their clients needs as their top priority. Buying and selling houses can be stressful and it’s important for the agent to make sure that the client is feeling supported and happy. Some clients like to communicate via email, some prefer a quick text message and others like to receive a phone call so they can have a chat about what’s happening with their sale. It’s the responsibility of a good agent to suss out the clients preferred method of communication so they don’t feel either ignored by silence or pressured by too much communication. Timing awareness is essential to a good client/agent relationship. You need to know if the client is in a hurry to sell. If they need to settle soon, the agent should know this and should be working to a tighter time frame. If the client isn’t in a rush the agent can shop around and advise the client to wait for a better market so they can get a decent price on their house. Is your client selling to buy? These are all things that good british estate agents need to think about. It also helps to know if there’s a sentimental attachment to a home. A client who’s selling one of five investment properties will have very different needs to a client who’s selling their family home. A good agent will know the difference and will adapt accordingly. The best way to get a good agent is use their past clients as references. If you’ve lined up a new agent and you want to make sure that they’re the best fit for you, ask them for testimonials or statements from their last 5 clients. Not selected clients, literally the last 5. A good agent should be able to give you a positive reference from any of their past clients.  Have a look at our reviews and see for yourself if our Love Your Postcode experts match these qualities. Want to talk through your situation with one of our agents? Book an appointment here.